Innuo has been awarded two prizes at the eighth edition of Publifestival (International Social Publicity Festival) held in Barcelona on June 5. The Best Social Film award was given to No day is an ordinary day, a project for Accord Healthcare. The second award came in the Social Action for Health and Well-being category and went to Movement for Quality of Life among our Elderly, a movement promoted by Boehringer Ingelheim. 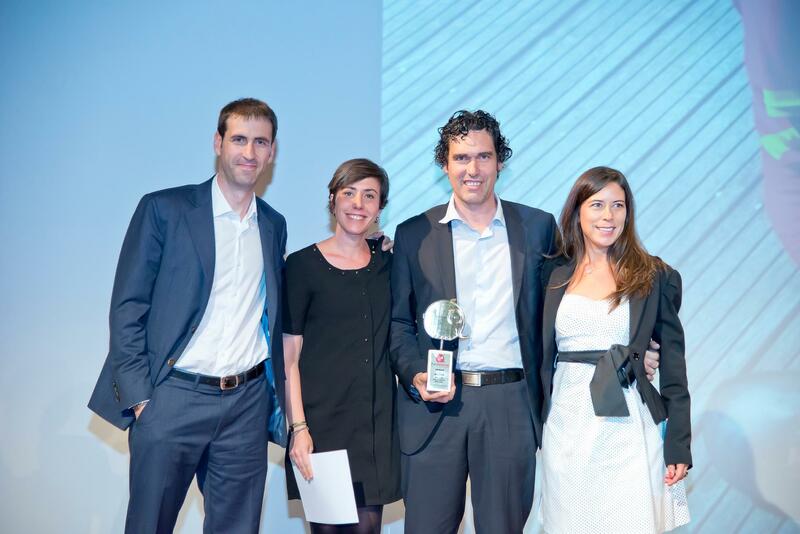 Innuo’s Managing Partner Joan Asensio collected the Best Social Action for Health and Well-being award. In his speech he highlighted the team spirit of Innuo, which is integral to the success of their prize winning projects. Innuo’s General Manager Marta Rafel spoke of the inspirational story portrayed in the film, a story that sparked huge enthusiasm in all members of the team. No day is ordinary has already received almost 2,000 views on YouTube and was the film used for the launch of Silvia Elvira’s blog. Silvia, a Paralympic Para-Canoeist and member of the Spanish National Canoeing Team, began her blog last January and writes regularly about her training sessions, her performance in championships and the personal challenges she faces. This blog and Silvia’s story, as a cancer survivor, have been prominently featured in the news and Spanish media this year, with a reach of over 200 impacts. The Movement for the well-being of our elders, which recently received the Aspid Gold, is a communication and public relations campaign promoted by Boehringer Ingelheim alongside other touchstone entities. Its aim is to assist elderly people in caring for themselves through social services such as companionship, assistance and emotional support.